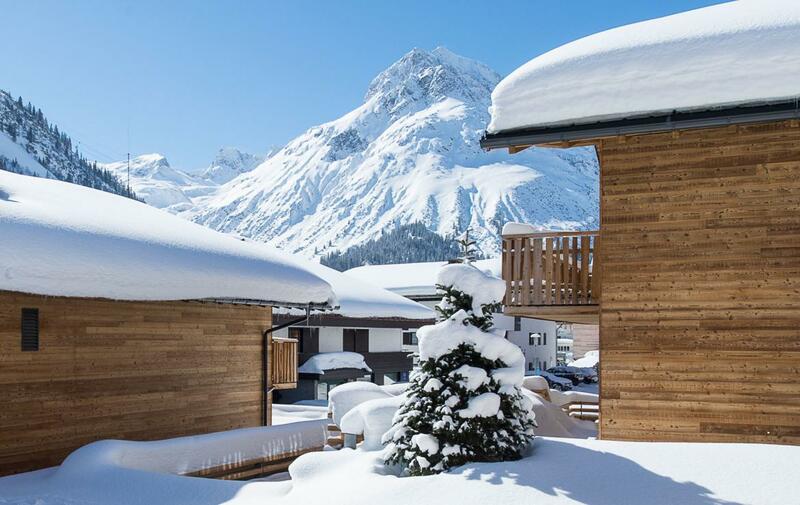 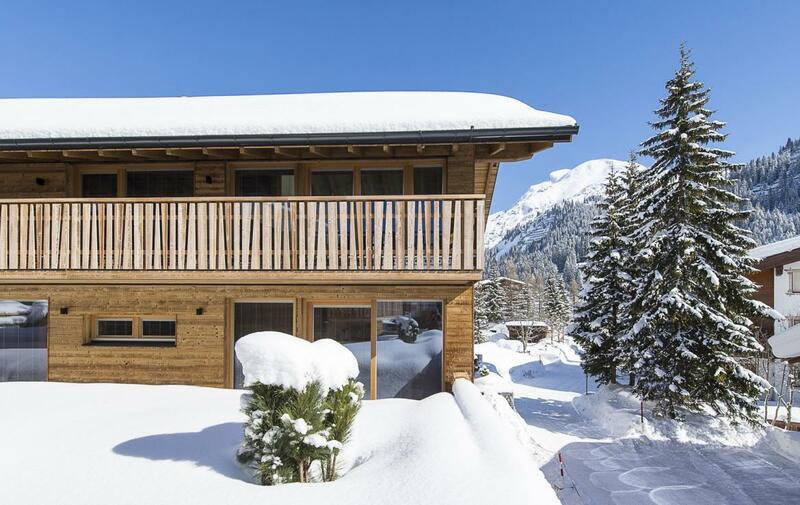 Luxury Chalet in Lech available Sat 23 Feb – Sun 3 March 2019. 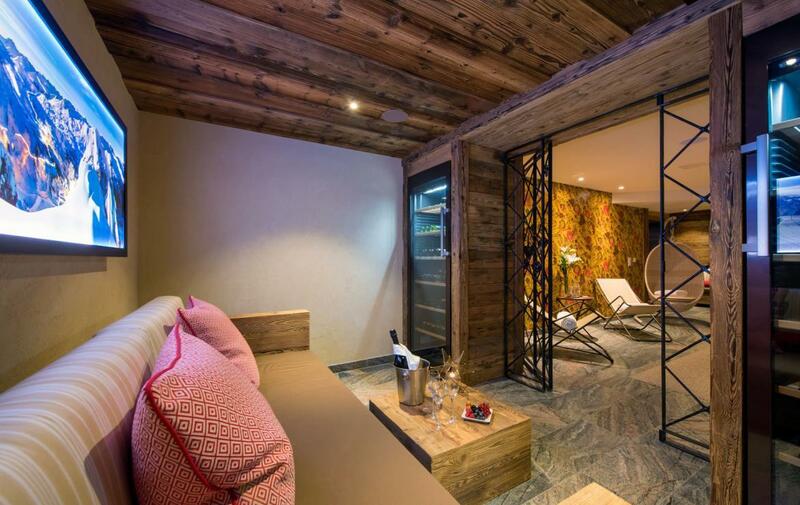 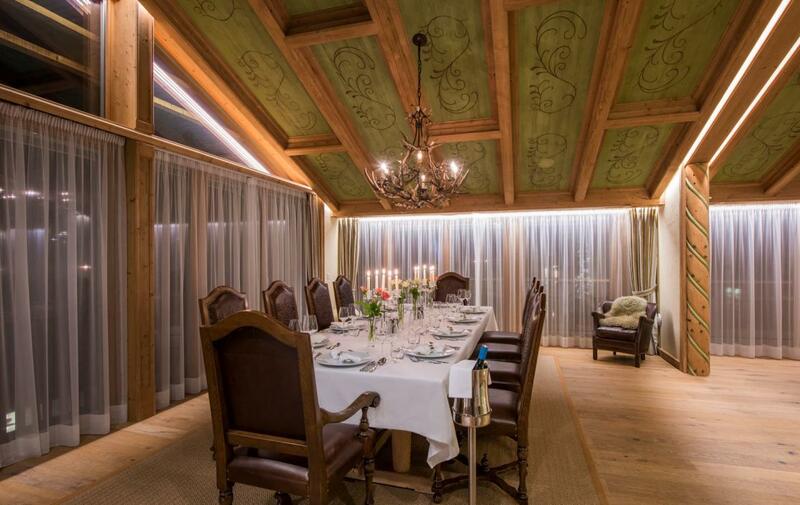 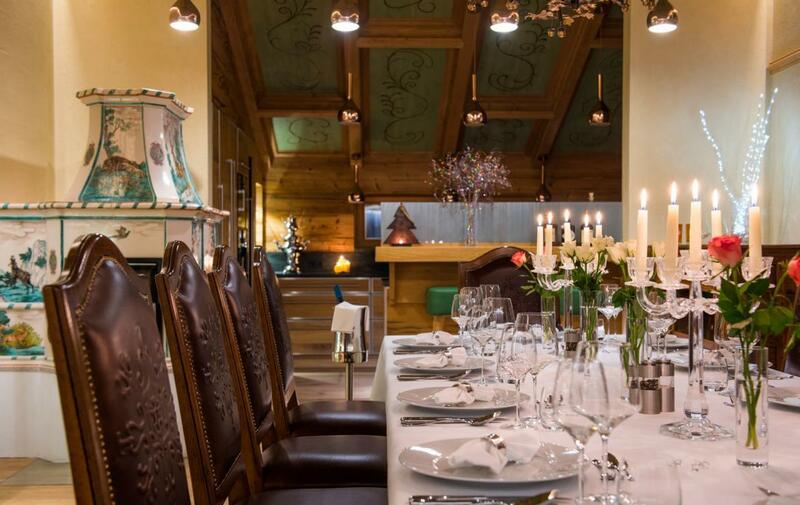 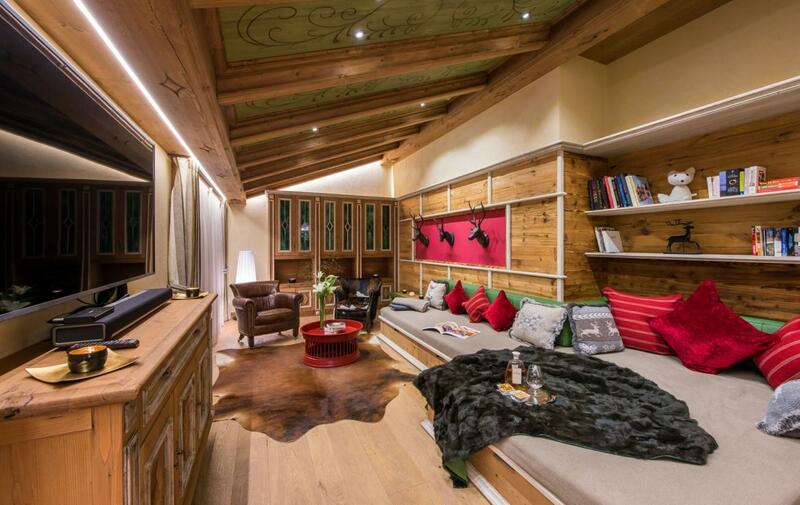 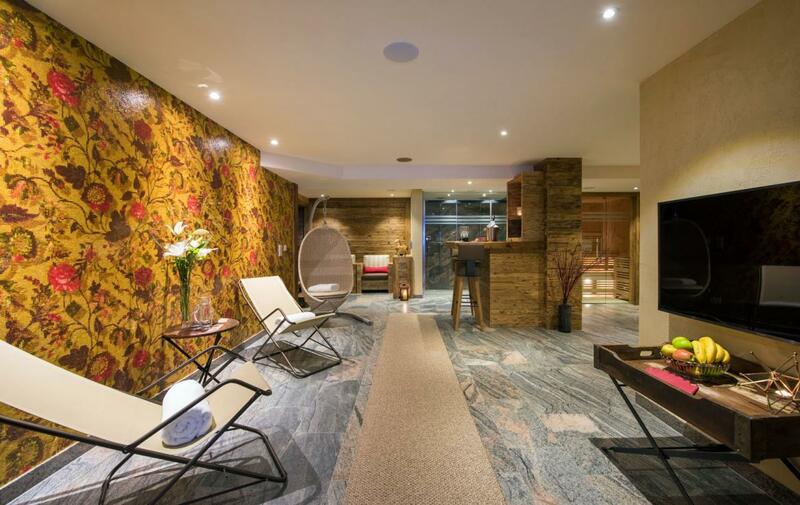 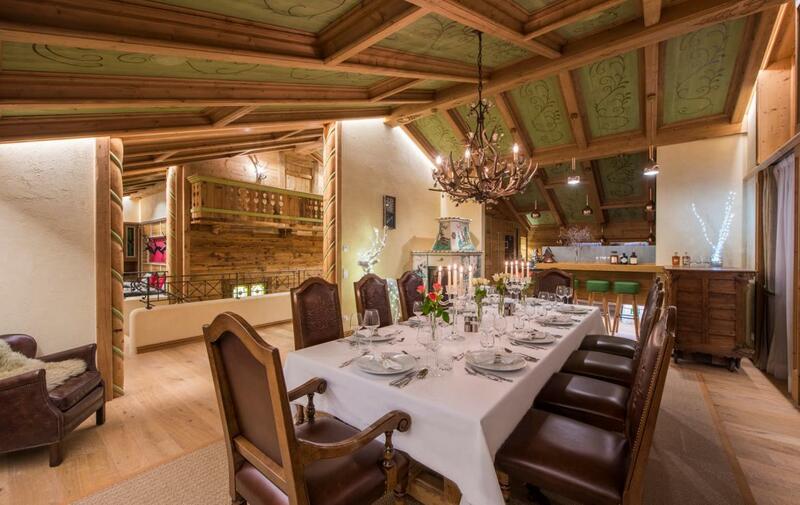 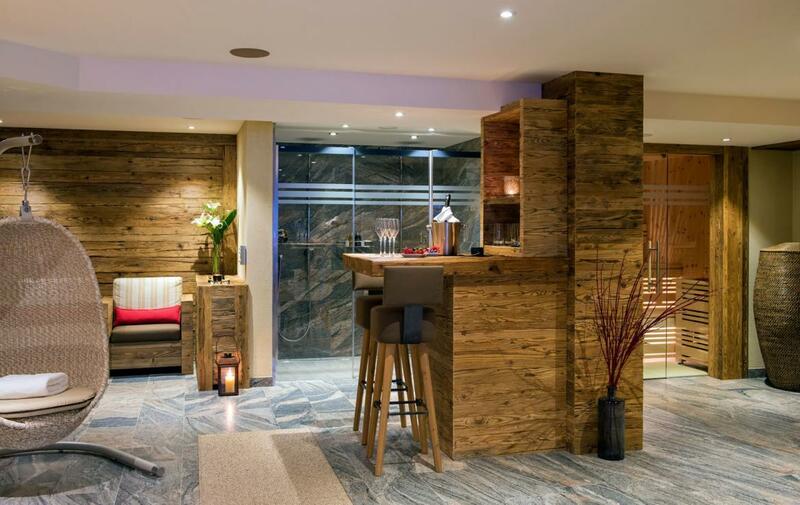 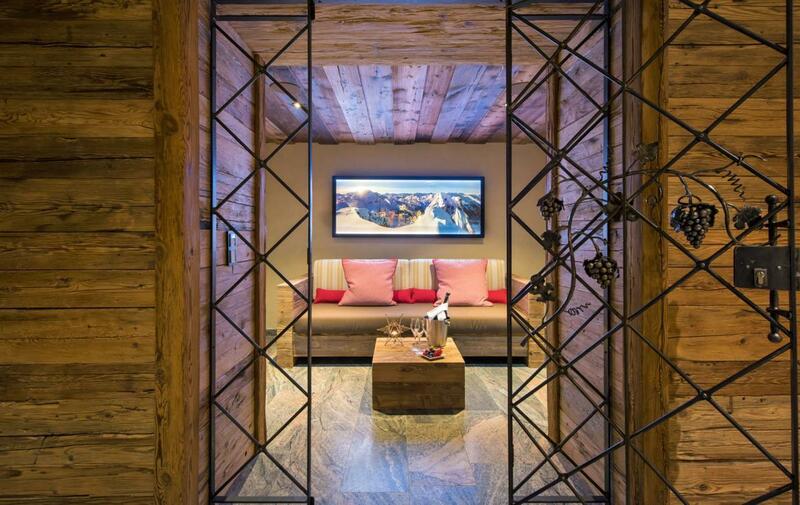 This is a new luxury chalet close to the center of Lech-am-Arlberg in Austria. 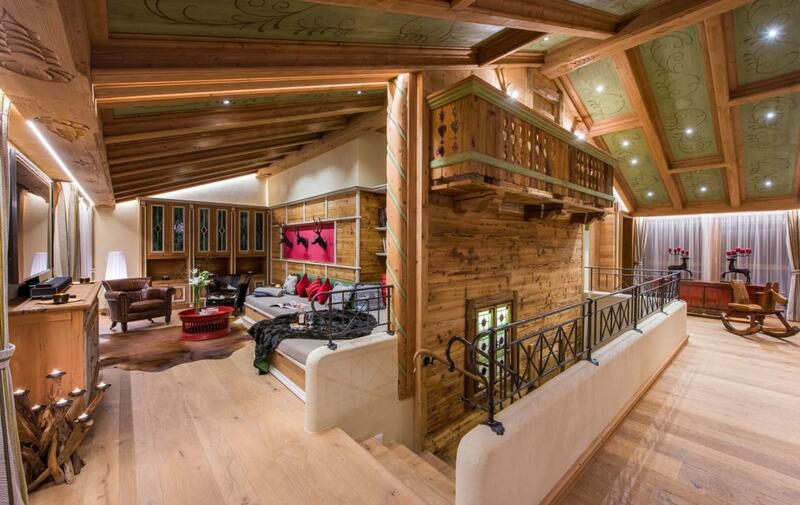 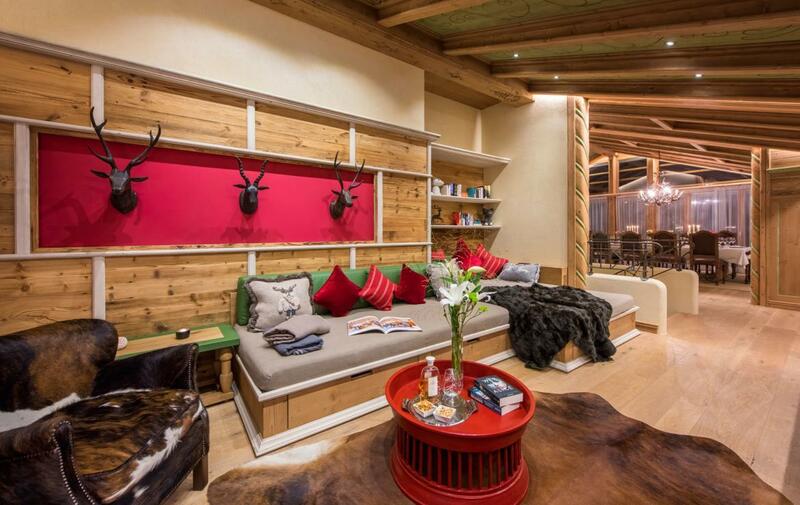 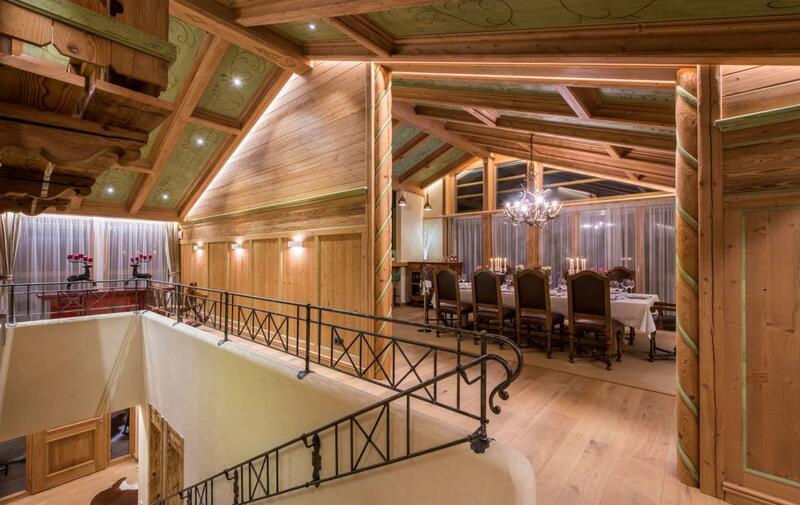 It is a 3-storey modern-fitted classic alpine chalet, with 450m2 of total living space. 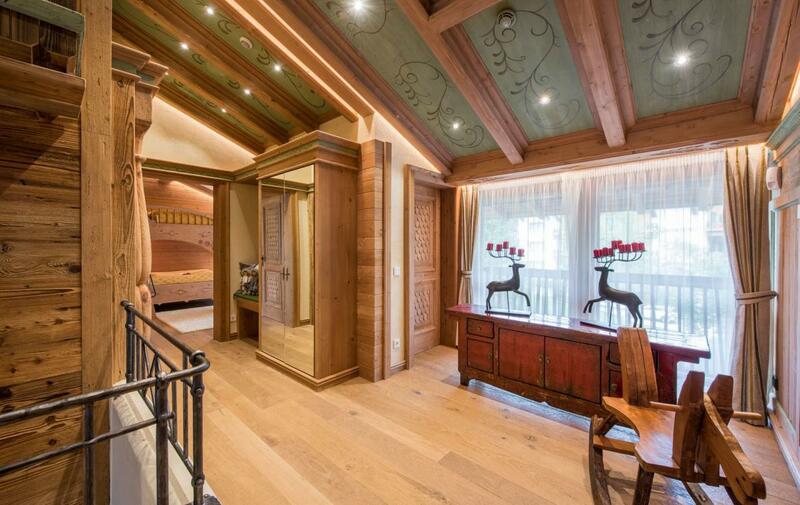 With 4 large bedrooms, the property can accommodate up to 6 adults + 2 children. 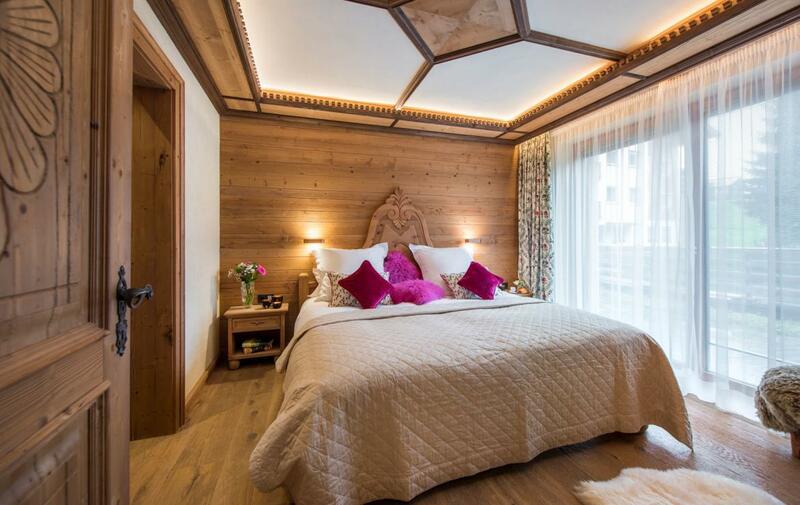 Adult bedrooms are fitted with king size beds, en-suite bathrooms and some feature individual terraces. 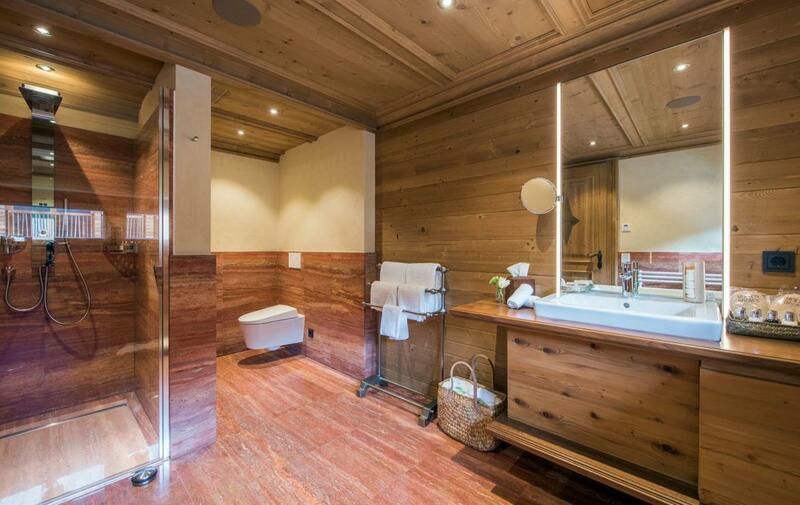 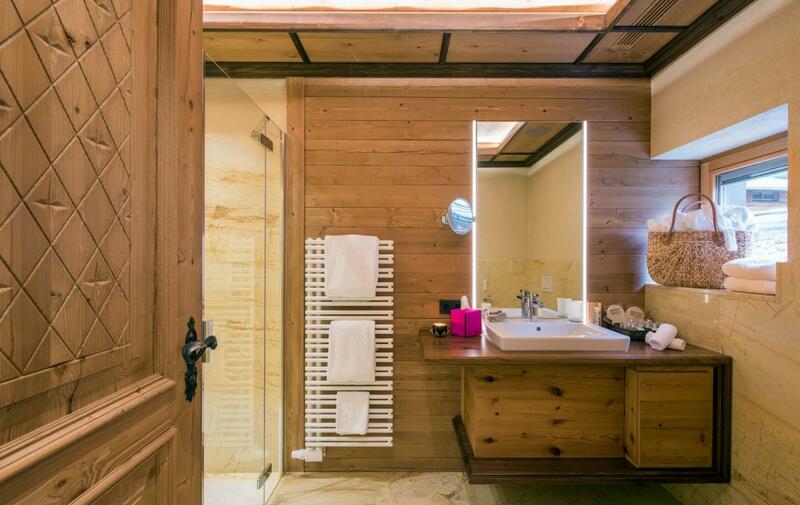 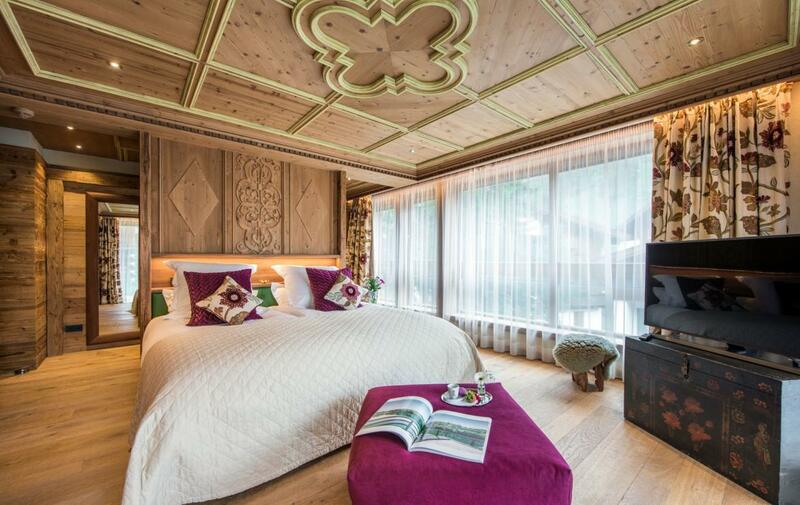 The chalet interior is elegantly decorated in warm alpine colors.Bedrooms and common areas feature natural wooden floors while bathrooms are traditionally decorated in luxurious marble. 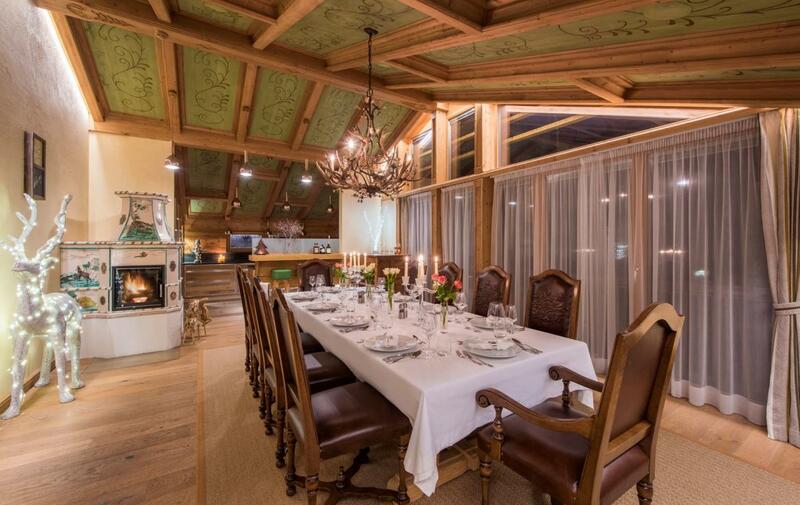 There is a living area, fully-equipped kitchen and a spacious dining area with panoramic windows and large balcony. 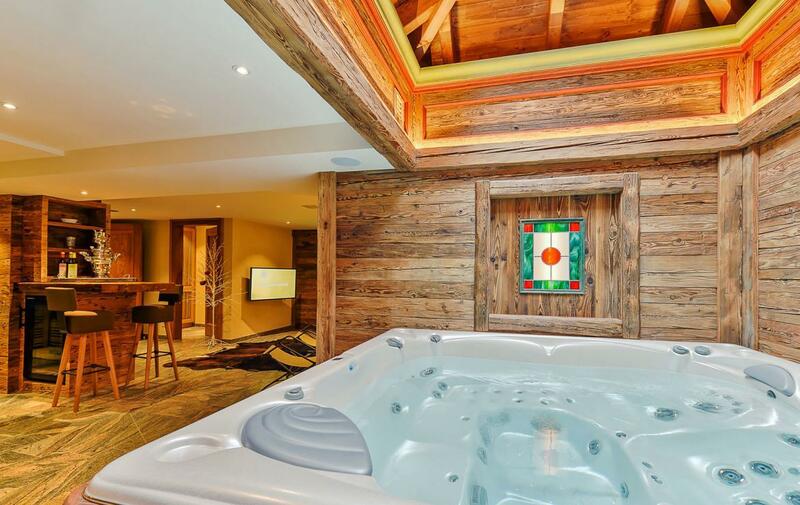 Furthermore there is the spa with sauna, jacuzzi/hottub and relaxation area, indoor children play area, in-house wine cellar, ski-room and laundry. 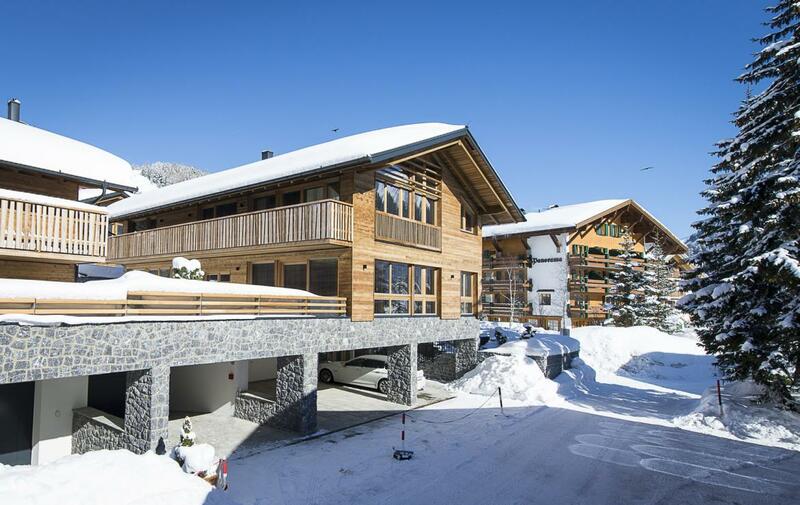 Two outdoor parking spaces are available for guests. 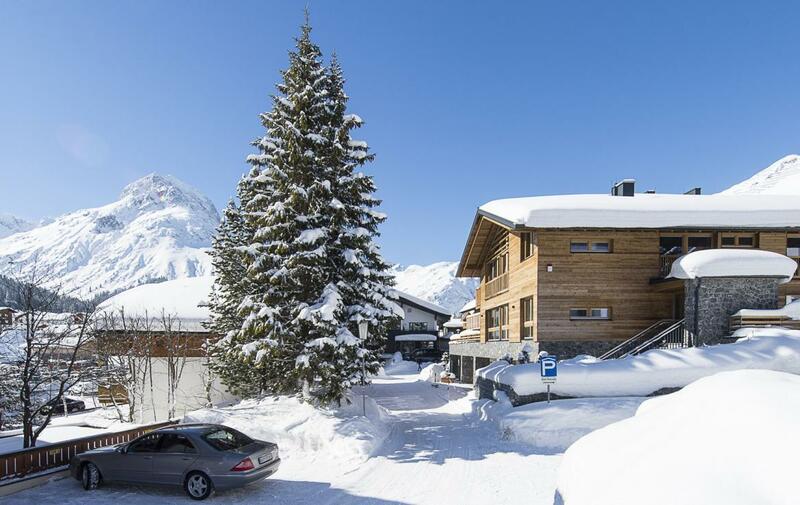 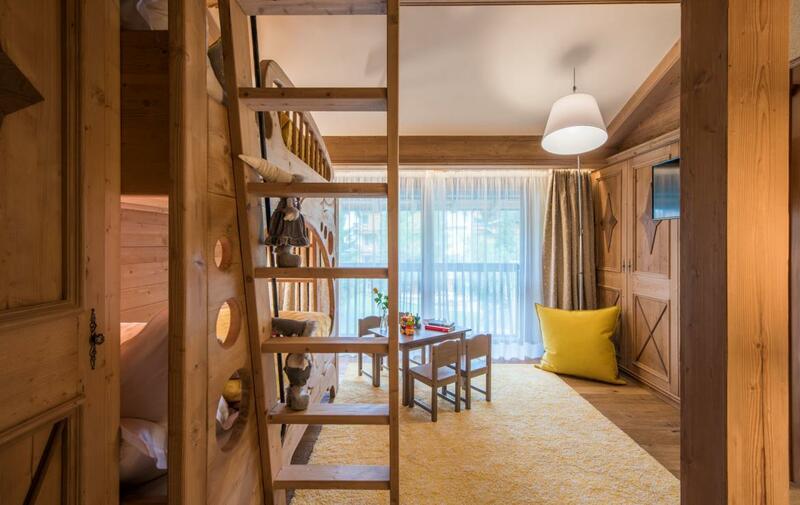 Located close to the central part of Lech and just steps away from Schlosskopfbahn ski-lift, the chalet offers its guests easy and fast access to surrounding Alpine slopes as well as to main amenities in Lech.